A homeowner has been given the shock of his life after he picked up a spider and put it in a container, only to discover it was the world’s most dangerous arachnid. 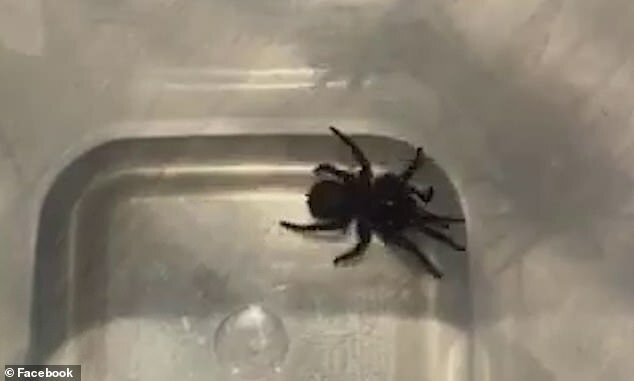 Scott McGufficke, from Sydney’s north shore, posted a video of the spider to Facebook, which showed the arachnid crawling around in the container. ‘Hey guys, we just found this spider on Park Ave, Mosman, is this just a garden spider or something more deadly?’ Mr McGufficke asked on social media. He later said a spokesman from Taronga Zoo confirmed it was not a garden variety spider but a deadly funnel-web. Mr McGufficke was also told it was the ‘worst season’ in years and residents should exercise caution this summer. 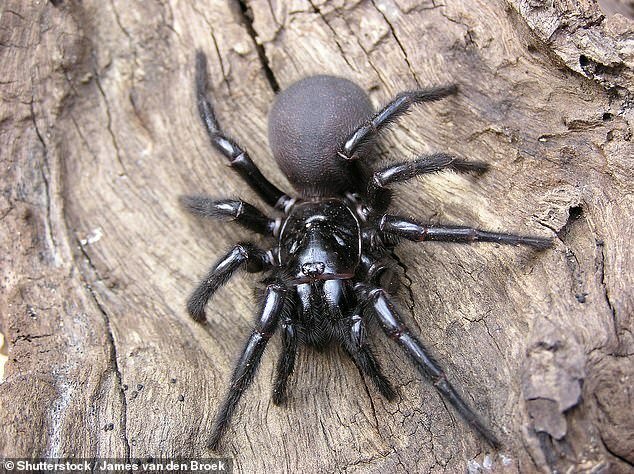 Funnel-web spiders, the most venomous spider in the world, can be found in eastern Australia. There are at least 40 species of the funnel-web spider but the most dangerous is the Atrax robustus, also known as the Sydney funnel-web. That species is said to be responsible for all 13 recorded deaths from funnel-web bites, according to the Australian Museum. The funnel-web is often one centimetre to five centimetres in body length and can be either brown or black in colour. While not all species are said to be life-threatening, the funnel-web spider’s venom is known to be highly toxic and fast acting. Funnel-web spiders are often found in the moist forest areas in eastern Australia and the highlands, including Tasmania and North Queensland. The Sydney funnel-web spider can be found from Newcastle to Nowra and as far as Lithgow in New South Wales.